The final three plans for redeveloping the western 17 acres of the Balboa Reservoir site, which is currently a 1,000-space parking lot under the jurisdiction of the San Francisco Public Utilities Commission, have been revealed and could yield over 1,200 units of housing; parking for up to 1,260 cars; and up to 5.8 acres of open space. In terms of timing, while the date at which the winning proposal and team will be announced remains “TBD,” expect an announcement by the end of the year, with 9 months budgeted to hammer out a development deal and built-in extensions of up to 30 months to finalize negotiations and secure a binding term sheet. And as directed, none of the proposals include buildings of over 65 feet in height. I vote for proposal #3 by Related Companies. The fewer units and the more open space and greenery the better. I hate to crowd more people into this once beautiful City! If it’s ugly already, shouldn’t we crowd more people then. Given that people are willing to spend market rate prices to live in micro units says it all. Given that most of the middle class has been priced out of the city, including many families, says it all as well. Sad thing is the middle class probably voted for the BoS crap that resulted in higher prices which ultimately forced them out. For this project, why do people want to pay top dollar to live in a complex where 50% of the units are subsidized, why not just make it 100%? Any developers know what the tipping point is for a % where market rate folks are willing to pay market? So, we need to cap the number of residents? Good luck with that. SF had over 600,000 residents before the Sunset was even built out. As for open space, ever hear of Golden Gate Park? No one is going to say, “Hey, let’s spend an hour on Muni to go across town to hang out at the former Balboa Reservoir.” Any open space around this development is going to be for locals. It’s not a matter of capping, it’s a matter of how many more residents can SF absorb given the poor infrastructure and decaying streets – the DPW can’t even get around to fixing major pot holes near Lake Merced that have been there for months now. Oakland can absorb many more residents, San Mateo can absorb many more – take a ride down El Camino from SSF to Burlingame. Pretty much one and two story commercial buildings with many, many parking lots along the way. Westwood Park is a unique area with its arts and crafts homes. It would be overwhelmed by 2000 new units literally in its backyard. The Related Company proposal is the only one that pays homage to Westwood Park. Not only with its broad Westwood Green belt but by the use of shorter townhomes closest to WP and then building to more density as it approaches the Phelan Ave. It seems to maybe have some single family homes too? 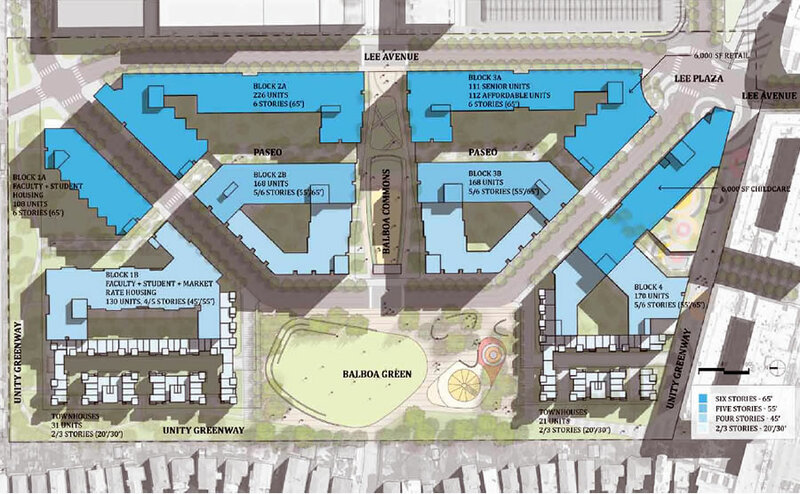 The residential amenity portion of the proposal. flip it around – if the people come the taxes will be increased and the infrastructure will be demanded and then built. SF’s population increased by over 60k since 2010…where’s all that tax money going? Certainly not in our schools, sewer systems, transit or other infrastructure. And you’re wrong in your assumption. NYC built the subway out in the farmlands in Queens in anticipation of development. Homes were built. Businesses and residents came. What you forget is that it takes a lot longer to plan and build infrastructure than it does to put up a few buildings. What exactly would happen to Westwood Park if 2000 new residents would move in next door? How would they impede the ‘arts and crafts’ of Westwood Park? This argument sounds very much like a justification of 1950ies urban segregation rules. Exactly. How would any of those existing home be damaged? How is it even possible to ‘overwhelm’ a neighborhood, especially if that neighborhood is untouched? Thanks to Prop 13, it is the LONG TERM residents, not the new residents, who are under funding public infrastructure. It’s actually the inverse: long term residents’ property assessments are capped, limiting the amount of new property tax revenue the City can collect over time. ZeeGold, I don’t understand your comment. Long-term residents’ assessments are limited under prop 13, but new residents don’t get the same treatment. What is why I say the long term residents are under funding everything. The new buyers pay for basically everything. “Any open space around this development is going to be for locals.” So the locals should have to “spend an hour on Muni to go across town to hang out at ” GG Park? Why the hostility towards open space amenities in different parts of the city. I have no idea where you got hostility out my comment (social media never ceases to amaze me). Local parks are all over this city and that’s great. But, as I said, I’m not going to spend an hour or more on a bus or train to get from one area of the city to the open space area proposed at this site. I’m going to hang out at the open space closest to where I live. Or, if I want a larger recreational area to play in I’ll go to GGP. Mark – So you have open space close to where you live, but you would deny these residents open space close to where they live? Okay, for the last time, I’ll make it simple: “Local parks are good.” Is that clear enough? By beautiful, do you mean when we had the Embarcadero Freeway blocking our waterfront or the Central Freeway ruining several neighborhoods? Or, when Crissy Field was still an air strip instead of a recreational area using daily by thousands? Cities evolve. They grow and they decline. Accept that fact. I left all my friends and coworkers in SF behind and moved out of the region because attitudes like this made SF unaffordably unlivable. You’re not missing much. Trust me. Many more will leave too. Just a matter of time. As for this development, the proposals aren’t that terrible, but not great either. I think getting the most bang for the land area buck, while maintaining some kind of appeal and ties with the neighborhood, should be the goal. The problems are dealing with NIMBYs and inferior infrastructure. SF’s population grew by about 10,000 people last year. Some do leave, but more arrive. That will change as affordability issues rise. People have been saying that for years, if not decades. The city has deteriorated over the past years in terms of quality of life and livability. There are folks who want somewhat less dense neighborhoods. That is why I bought on Mt. Davidson and why the WP residents did, in general, also. Urban living should include diverse housing options which places like LA and Seattle offer. At affordable prices. One does not preclude the other. 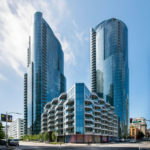 The building boom has not lowered prices and the affordable units her are largely coming about as a result of Prop C which only now at the end of the building boom is coming into force. I have a place I’ll eventually move to in a much more dynamic, livable and diverse – in terms of housing options – area. If I want a condo in a 90 story tower check, if I want a home on a small river check. Both are affordable. I’m exciting about being able to eventually move out of the region. The City will go with the first one, IMO. It offers the most units and BMRs. Density has always been prevelant and if people don’t like it, they should move to the suburbs. Nothing is certain. Neighbor traffic and parking concerns dominate the comments so far because citywide goals are more diffuse than local fears. To lend your own comment on the developers, visit Comment on Proposals. The responsible choice would be the first one, but many of the existing neighbors (maybe including Mary Hill above) will push for the lower density plans. Responsibility is in the eye of the beholder. We are responsible for ensuring this development meets the needs of the people who live here, that the quality of housing is decent, that there is space to breathe and walk around safely and comfortably, that we can easily use transit to reach jobs and family downtown and elsewhere. We are responsible for keeping this city attractive and livable for families and the next generation. This neighborhood has always had families and children. We know SF is the city with the fewest children in the nation. My neighbors moved to my block from Potrero Hill because recent changes there made it uncomfortably congested for raising their young children. To ensure a healthy and dynamic future we need to keep a diversity of children in SF, and we need to ensure the city is a place people will continue to want to live as well as visit. It’s those who have settled here who put in the long volunteer hours and given donations that have made it livable and attractive. This city has a grace and character that people bent on a profit seem to want to destroy. We are all responsible for the negative consequences if we only consider numbers. Well stated. As regards families with young children, it’s critical to ensure the city makes room for them. Diversity includes these families. Westwood Park is a gem which many in SF are not aware of. I regret that in the day it was built they did not carry over that neighborhood design to the other side of Ocean Avenue. The difference between the two areas (WP and Ingleside) is stark in terms of parking, open space, room to breath and architecture that is inviting and “warms the heart”. 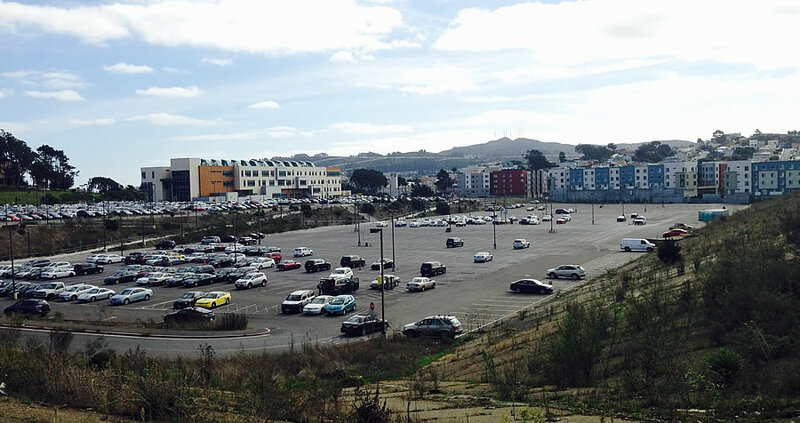 The parking and traffic situation in the West of Twin Peaks area has gotten noticeably worse during this boom time. Half the mornings I can barely back out of my garage as both curbs are parked to the driveway line. I’m old-fashioned and still use my garage for parking – few do anymore. A good number of families who have lived here a short time and had their first or second child have left “pneumonia gulch” (as we call it) for the mid-Peninsula or the Lafayette/Pleasant Hill areas because of the too small homes and the increasingly dangerous traffic conditions. They put bulb outs on parts of Teresita to calm the raceway it can be at times and now people are parking along those which makes for a dangerous intersection. You can bet if they build 1250 units here there will be 2500 or more cars owned by the families in those units. It could be a disaster for WP. 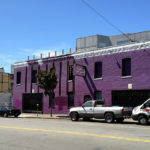 It’ s long past time to pay some heed to those who are invested in SF for the long term and want their kids to grow up here and not give everything away to the developers. Schools. Every single family I have known that has left SF has done so because of the schools. I see your concern with parking in this neighborhood. As this is a real concern to you, I’m certain you have realize that the lack of housing in this city has incentivized landlords rent their single family homes on a per-room basis. More adults per single family home leads to more cars parked on the street (in your neighborhood!). I’m sure this is a major reason why you support as many units of housing as possible on this site, as it will allow more people to use the nearby BART and Muni infrastructure instead of owning a car. Diversity – what a total joke! In SF, diversity is a code word for people with identical progressive values – very exactly like a cult. True diversity would mean importing a bunch of republicans, Trump supporters, residents of the bible belt and other people with differing or opposite viewpoints. Never going to happen, because true diversity is frightening and undesirable to those living in the 7×7 bubble. Dave, you cannot complain about traffic when you are regularly driving as well. You are literally saying that other people are the cause of a problem when all they are doing is the same thing you are doing. Thank you, you just made the best argument for the option with the most units possible. I assume you are concerned with the many Latino families crammed in one bedroom or in-law apartments because they cannot afford to rent a bigger place in SF. I’m sure have noticed that most families with kids live not in the Potrero Hills, but in the Bayviews, Inner Missions and Visitacion Valleys of this city and you are advocating for providing 600 affordable units for them. Therefore, thank you Jennifer for your great support for the highest possible number of new housing units on this site. Also, DIVERSITY! It’s great to see so many here evoking the importance of diversity in our city. I’m sure you have noticed that many people of color (that are long term residents of SF!) have been priced out of the city. In order to maintain our diversity – a long term characteristic of our city – you are advocating for the most possible new units of housing on this site. It’s great to see that people are not just looking out for themselves, but advocating for more housing for the less affluent. 1. In my post I didn’t advocate for any choice of plans. 2. This is a plan for this location, not any other location. 3. Let’s look forward with the understanding that there are many considerations. My point was that closing our eyes to everything except the number of units is folly. Yes, we should take into consideration other factors than just the number of units. After you raised some important points (affordability for families, preserving diversity, maintaining air quality), one can only conclude that this specific location should have the maximum possible number of housing units, as it provides excellent benefits in terms those other factors you raised. I assume that all of you old-timers who are worried about the schools would be okay with repealing Prop 13 so that you have to contribute financially to support them? Because right now you are saying it is super important to have good schools, while free-riding on the new residents who you think are somehow–now sure how–undermining those schools. Prop 13 should be repealed for the commercial interests that have gotten away with highway robbery charging exorbitant rents and leaving storefronts empty because they have little incentive to fill them. Prop 13 allows people who are homeowners to plan for their retirement, and not be taxed out of their longterm home when they retire on a fixed income. It is a legit concern, especially when you have high inflation and your retirement is not inflation adjusted (think private industry employees or self-employed with 401K, IRA). In recent years inflation has been low and prop 13 is in place so the problem isn’t obvious. You may want to modify it for commercial property, but a complete repeal is a long shot as most homeowners will vote against it (and more homeowners and retired people vote). From all of these responses, I understand that the answer to my question is, “no.” You all want to boast about how important our schools are, but don’t want to help pay for them. Gross. How much more are the market rate tenants of this place going to have to pay extra via increased rents to cover the 50% of the residents that are #entitled to some major housing discounts? The first proposal seems the least inspired and had no greenbelt integration with City College or to the north. The second proposal has the most interesting landscape design and seems to integrate the surrounding areas better. The third design has a nice mix of housing but I’d be concerned about getting emergency vehicles to the properties fronting Westwood Park. 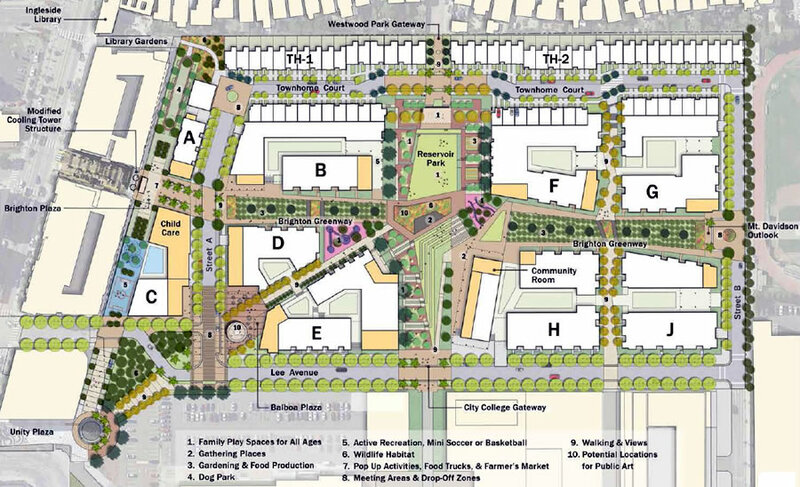 If you click through the presentation the first does maintain an axial connection with City College, in a similar fashion as the other two schemes. 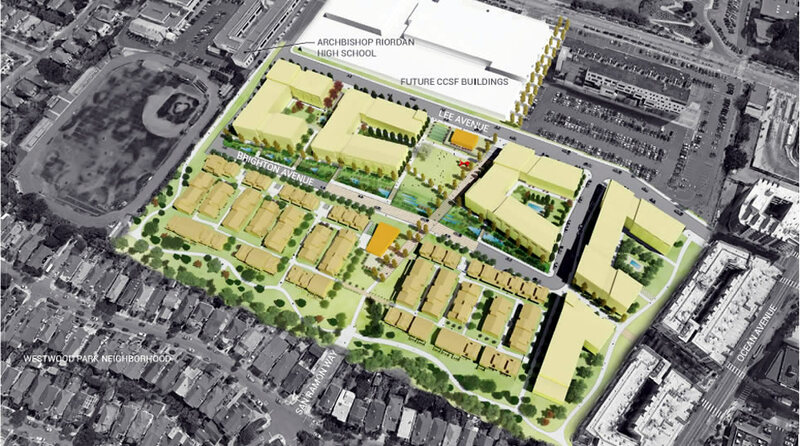 Instead of landscaping next to City College, the first proposal in the article (Emerald+Mercy) was the only one that featured retail facing City College and leading down to Whole Foods on Ocean. If we take the average residents per square mile in SF, this project barely budges the housing needle (493 average for this 17 acre plot vs option #3’s 680 units). I’m perplexed by how much parking is included considering how close this is to Balboa Park BART and a major Muni street rail line — one that will get 4-car train service around 2019. The K-line will not be getting 4-car train service around 2019 or any other year. Nor will any other Muni line. The street infrastructure on Ocean Avenue can’t support more than two-car trains (the K now uses one-car trains) and there are no plans to extend those stops. I think the comment was in reference to that half-baked ridiculous plan floating around to underground the M line (at a cost of around $3B) and somehow run longer trains on 4 tracks. But, you are correct. K line will continue to run 1-car trains indefinitely. However, the development is walking distance to BART, but that’s not saying much if your commute is anywhere other than downtown SF or downtown Oakland. Many City College students who commute to Ocean Avenue work or live outside SF. Some have concerns about walking to the Balboa BART station after night classes and/or getting home or to their night shift once they leave the transit line. 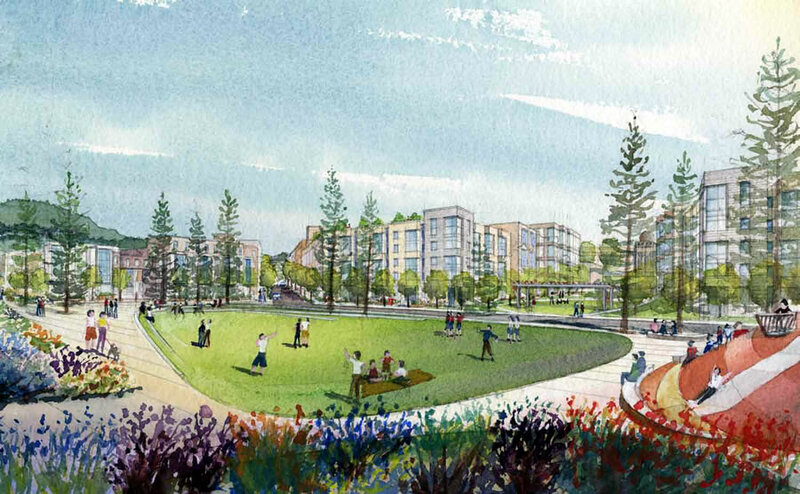 This proposed Balboa reservoir development is next to the main campus of a major community college with a significant number of working students. It’s a reason City College and neighbors are concerned about the adequacy of the transportation system and parking. The roads in the area were constructed to handle a population of single family residences and a prison. 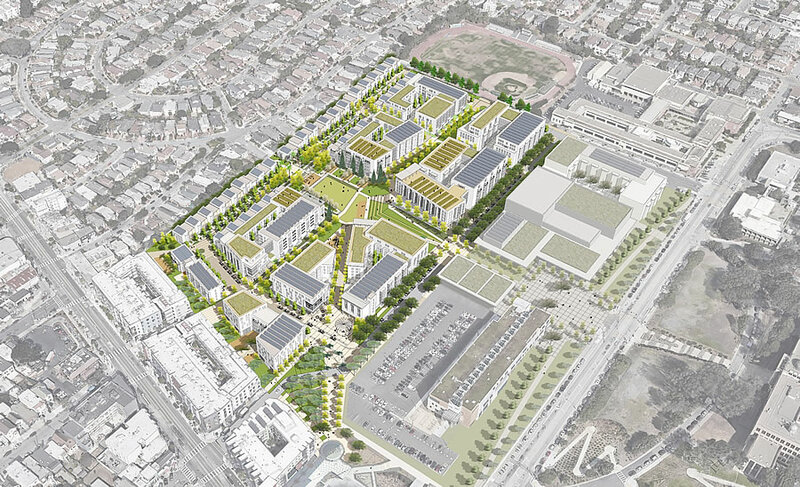 I like 1 or #2, as they have a nice mix of building sizes and scales marching up from Westwood up to Lee Ave.Related’s will appeal to locals, because of the lower density and setback from Westwood, but I think the bigger buildings in the rendering seem too big and blocky. Avalon also has a greenbelt at the border with Westwood, but the overall density is probably too high for the residents to support. Under all these designs, I predict Lee Ave.will be a traffic bottleneck – it already is quite busy with loading for Whole Foods and the new retail on the eastern side. i’m sort of a “split the baby” person, so could see something between #1 and #3, with the greenbelt on the Westwood side to ease that transition. From a public space perspective, the Related Proposal appears to have the smallest public spaces even as it is the least built out, and the major park would be along the least accessible edge of the development. 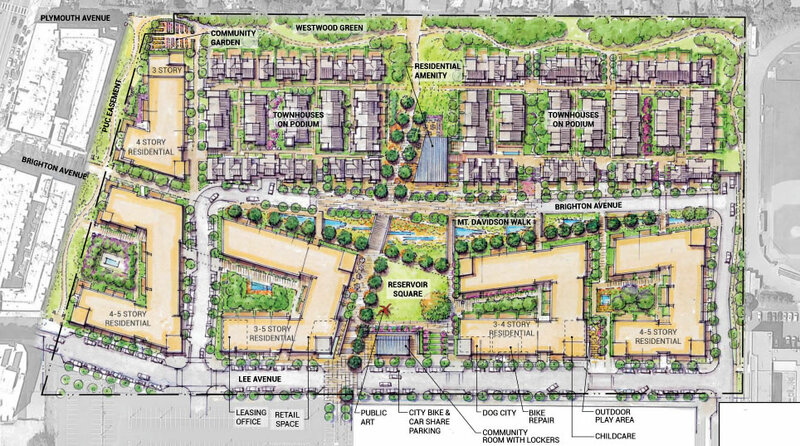 A good way to create an quiet suburban-style housing complex, but not a good way to engage with the surrounding neighborhood that already exists. Actually, at 5.8 acres the Related proposal has the most open space. I’d hardly call the surrounding Westwood Park area suburban. Quiet – yes. Nothing wrong with that. Basically they are trying to buy off Westwood Park NIMBYs by preserving what they consider to be their god given right to have a running track. Wrong, they listened most to the communities input at numerous meetings… They had the most respectful design and well thought out buildings and street plans which is what makes it attractive and can garner positive support when it does go forward or gets value engineered down the road… JS needs to play the SFBARF tunes elsewhere nobody from the neighborhood wants 3k units.. Unless there is some MAJOR transit upgrades SFBARF/BART/MUNI are paying for or extracting from the tech industry? Yes, there are major transit upgrades coming. Google “muni forward” or “measure rr”. 50% ratio of parking to units is not quite the 0% in NYC, but on the low end for SF. As much as we’d like it to be lower, consider that this tower in downtown SF near even more muni lines and bart, has a 45% ratio. Yes, the excessive parking is my least favorite thing about One Oak. It’s being heard this Thursday at the Planning Commission if you’d like to ask for less parking. Most of the new residents who end up owning a car will drive to work from e.g. 8am to 6pm. Most students at City College who drive will need parking from 8am to 6pm. The two groups offset each other quite nicely, so less parking spots can serve more people. There is no housing crisis, just an endless policy crisis coming right from the BoS, & new planning laws to find the fat pensions of the Dept. If you want housing then stop forcing the mom & pop types out of business. And if you don’t like paying rent then buy your own building somewhere. 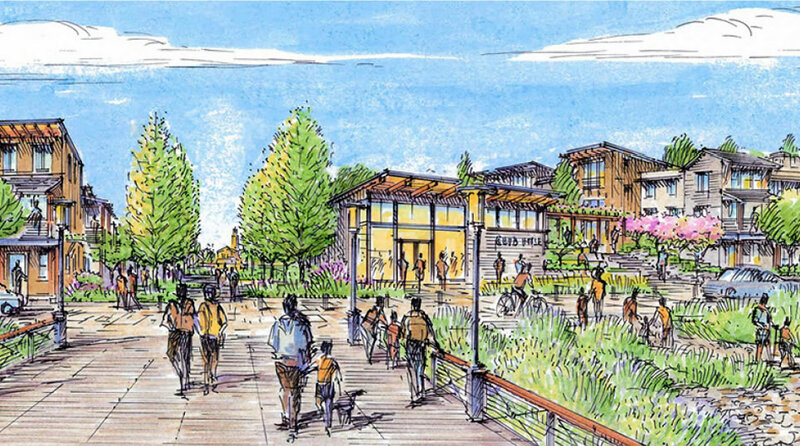 Mission Housing Development Corporation is also a partner on the AvalonBay/Bridge proposal. 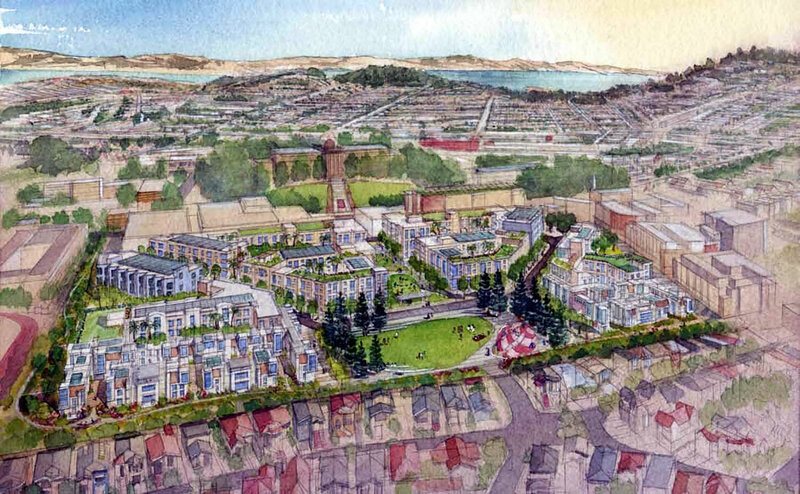 I want to like that proposal because I’m a big fan of Mission Housing – they’re my neighbors and great people. But I have to admit it looks like Emerald Fund and Mercy outdid them. More badly needed units, much less parking and a more thoughtful pattern of circulation and open space. Either way, I hope we can add more height on the City College side to get the numbers up. Below 1600 units isn’t a great use of the site. And the cynical proposal by Related to build a suburban subdivision instead of an urban neighborhood can’t be taken seriously. IMHO, the AvalonBay+Bridge proposal does the best job stitching the development with the neighborhood rather than create an island of high-density housing. Also, smart move with the shared, below-grade, parking garage. All of the proposals beat the heck out of the current parking lot. Let’s get this built in less than the “9 months to hammer out a development deal” plus “up to 30 months to… secure a binding term sheet” plus god-knows-how-long given lawsuits and the real estate cycle(s). Lee Ave will be the bike route (replacing Phelan). Apart from bikes there’s not much reason for through traffic. Quiet low density residential-only to the north and west, so nothing to walk to. Car and transit through routes are just south on Ocean Ave (east-west) and just east if you’re going north-south (280, BART, J line). What a great opportunity for the city to build 100% affordable or better yet, free housing units for all the locals.It might also work if other people were allowed to live in the free units, especially if they come with one or two free parking spots and a free car ( electric of course, hooked up to a free meter).This is a big opportunity…..not to be missed! 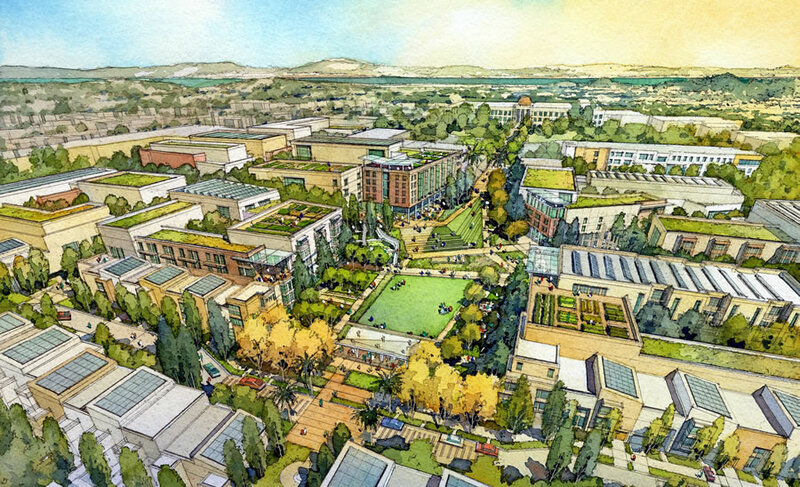 The first image on this site is a copy of Parkmerced with paseo’s however lacking in the aesthetics and just too much density along with height (shadows) in smaller tighter streets. Overall the designs should be drawn with similar roof (white) figure ground so people can see more accurately what is building and what is open space in each proposal, only the related project showed this correctly… And dealt with parking concerns of CCSF faculty staff and neighbors concerns on open space and transit/parking concerns. The images and their order above are correct. The presentation order was random, our order is based on density as it relates to our opening paragraph above. The plan image for Related’s proposal was more informative, including both uses and heights. All that being said, we’ve added a third image and site plan/aerial for all three proposals in the galleries above. As Jennifer Haggie above mentions, these streets were built to handle a population of single family homes. Additionally they were laid out at a time when most residences had one car. There are no significant transportation infrastructure upgrades planned so forcing thousands of new residences and cars into this small area will only aggravate and spread the gridlock enveloping this city. Housing is needed, but even more so is a massive infrastructure upgrade needed. Doing one without the other will further degrade life in the city and increase the exodus of families and others from the city. Yes there is a need for affordable housing. Haggie and Dave are both correct, its critical for these expanding areas, (development and the domino effects) to adequately look at transit infrastructure solutions. Example: Pedestrian Bridge Existing, possibly a new high-line route to a CCSF east-side parking garage with BART, and a more enlivened CCSF proposal on the SW-SE corners of their campus site. Its like the expanda-foam used to fill gaps, the more you shovel in, the more likely you will cause damage… The city needs to begin to realize their is a max and a need to re-review transit and other amenities like schools, parks, libraries, and pools to make sure housing provides the needed amenities and infrastructure, or at least pays in to the future development of improvements up front. New construction will help us pay for all of these things. The assumption underlying the comments from Dave and Haggie is that the people occupying the new housing don’t contribute anything to our city, or at least that they contribute a lot less than Dave and Haggie do. Assuming that Dave and Haggie have been SF homeowners for more than a couple of years, this assumption is entirely wrong. The truth is that the new buyers will contribute lots of money in the form of property taxes, while Dave and Haggie contribute very little. Funny how editor censors opinions with which he disagrees but leaves other off-subject opinions that better suits his flavor. Gives the community and city a chance to absorb, and provides the developer teams a chance to see what the others did and either edit or update their schemes to make a more solid presentation of issues. I would not eliminate any up front, but give the BRCAC a chance to weigh in post reviewing initial comments, and to discuss post their meeting on the projects. It’s unfortunate that some taller buildings couldn’t be added to each of these, but given the pre-imposed limitations the Emerald Fund proposal does the best job of helping with our housing crisis. Here are the problems: the infrastructure around that area cannot handle such a large influx of residents. The stop light at Ocean and Phelan is awful now and will be much worse if you add hundreds or thousands of new residents (of course the City does not care about that; they want people to use the bus/muni/BART). CCSF uses all of those spots during the day and losing hundreds of spots will mean that the neighborhood will be full of people looking for spots/parking illegally (this will not help people going to CCSF main campus and will drive them to go to other campuses or Skyline). I do not think people with money will want to move there because the area is sketchy and the public schools in the area are not that good. On the plus side, BART from there to downtown is about 20 minutes (the bus is awful and I’ve never used the muni b/c it would take too long to get anywhere I wanted to go). There is also a Whole Foods and City Target nearby, and there is quick access to the highway (already congested and will only get worse). As it is the reservoir is not enough to accommodate student parking – just check out the nearby Sunnyside streets during school hours. Parked wall to wall including more than a bit of illegal parking which seems to be ignored by the traffic patrol. Would someone please explain to me how it is possible to put multiple heavy buildings on a site that has water underneath it without risk of collapse. Probably in the same way it was possible to put a up a concrete high rise on mud at Millenium Tower. It was built as a reservoir to hold water but was never used as such. There is no more water underneath the site than anywhere else in the city.